1. Remove deodorant stains from your clothing with baby wipes, dryer sheets, or by rubbing them off with a piece of denim. We all know those “clear stick” deodorants only show up clear on the “white” part of your skin (under your hands and feet), so an appearance of the infamous residue will def happen on that favorite purple turtleneck of yours. Now, you can handle it accordingly. 2. Turn that old sweater into DIY boot warmers. Just cut the sleeves from that favorite sweater you just can’t wear anymore, and rock them as fashionable leg warmers that can be worn under your boots. BONUS: No sewing is required! 3. 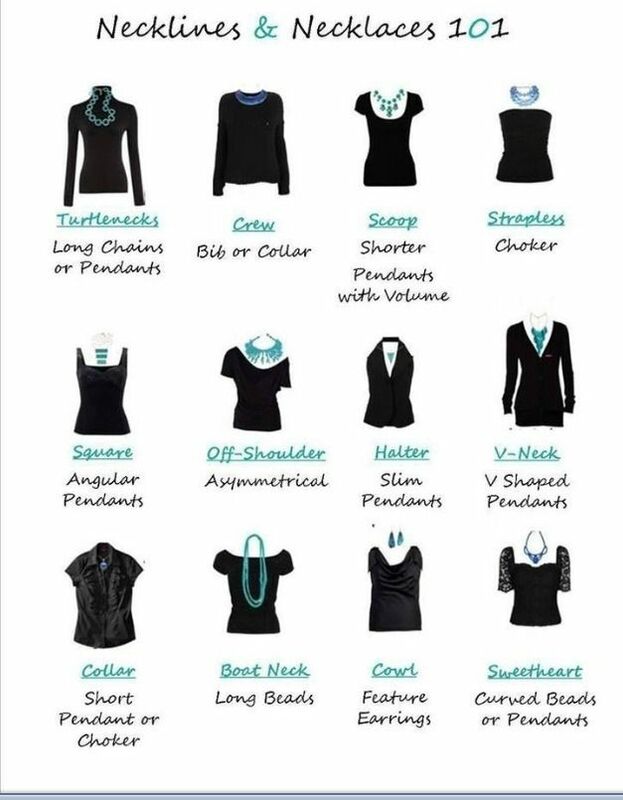 To choose the right necklace for any neckline, peep the chart below. 4. 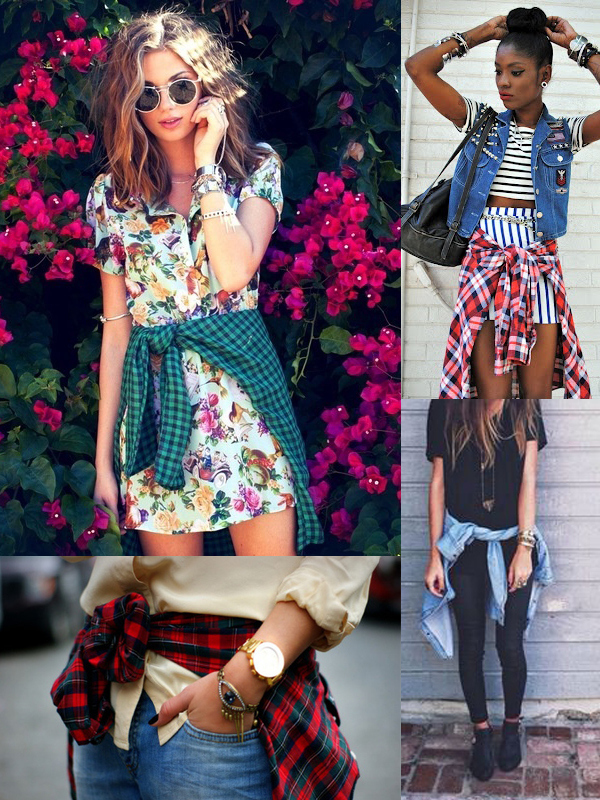 Stretch your wardrobe by stocking your closet with at least one plaid shirt. Wear it traditionally buttoned up, wear it open with a T-shirt underneath, layer it under a sweater, or tie it around your waist. You can even rock it as a skirt by buttoning it up and tying the arms around to replicate a belt. 5. Remove sweat stains from your clothing by spraying them with lemon juice right before you throw them in the wash.
6. Spray your tights with hairspray to prevent them from getting runs. 7. Use an eraser for an earring post. It’s so easy (and annoying!) to lose the backs to your earrings — but there’s an even easier solution! One of the oldest tricks in the book is breaking off a small piece of an eraser and using it as a temporary earring back. 8. Instead of tossing old jeans that are starting to rip, give them new life by adding your own statement-making rips and cleaning up the accidental ones that are already there. 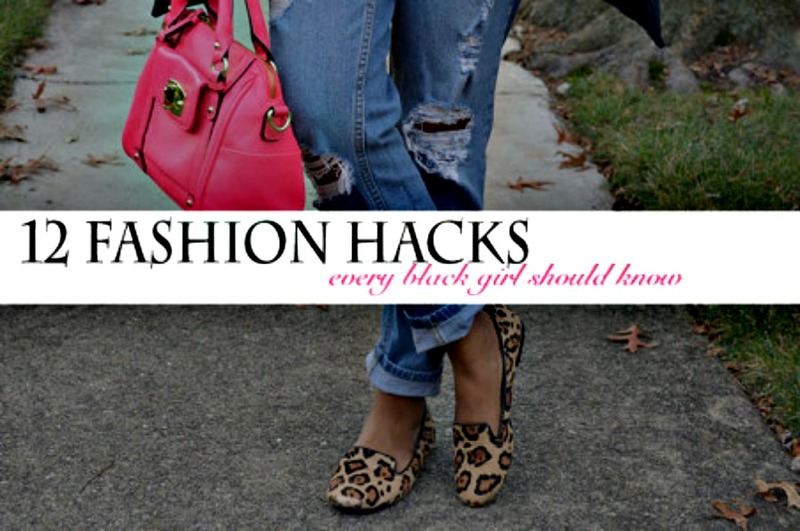 Check out this tutorial from YouTuber, Meesha TV. 9. Seal rhinestone accessories with clear nail polish. Coat your rhinestone-covered phone cases and belts, etc. with clear nail polish. This will keep the bling in place and prevent them from falling off. 10. Iron your shirt collar with your flat iron. Just be sure to clean any grease or hair product off of your flat iron first, so that you don’t stain the shirt. 11. Use nail polish to color code your keys. Yes! Keys, can make fashion statements, too — especially colorful keys (way more fashionable than that standard silver). Paint the top of your keys in different colors with nail polish to improve this everyday accessory, as well as help you remember which key belongs to which door! 12. Rock a scarf as a turban. Check out 10 different styles and ways to use your scarf as a turban from YouTuber, Nadira037 — perfect for bad hair days or when you just want to look fab!